Physician House Calls Are Back! Our Doctor comes to You! Home, Hotel and Office and Embassy ! Please click on Patient Portal (upper right corner of this page), go to forms and fill out Demographics form prior to your call. Coded receipt available for insurance submission. Too busy is no excuse. We bring it to your home, office or hotel. We are pleased to announce that we have partnered with CaryRx Pharmacy. CaryRx is a pharmacy that offers free prescriptions delivery on-demand in Washington, D.C. Send your prescriptions to CaryRx with just a few clicks. Click on their link below to find out more. Another recent happy patient review.. I am from the Bay Area and last week attended our daughter’s graduation from American University and was in DC to help her get set up in her first apartment. Unfortunately I developed an ear infection and bronchitis and fortunately I found Dr. Kinney and Metro Direct Care Medical. I was feeling too sick to try to sit in an ER and the house call from him saved the day and the entire trip. He took a careful medical history, and spent the time to listen as well as inform us of the diagnosis and the options. He prescribed the ear drops and medication that ensured I felt better within a few hours so that I was able to be present for our daughter and heal. He also helped us come up with the right decision not to fly until a few days later than planned to help heal the ear and bronchitis. I wish there was a doctor like him in the Bay Area! Our 96-year old granpa came with a health issue and he’s just too old to sit for hours at an ER. 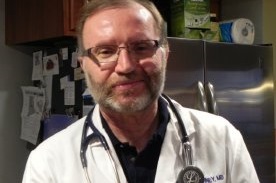 Dr. Kinney is a caring, experienced and responsive physician who took care of the problem immediately. He is compassionate and takes true interest, providing very helpful advice from the first call. I am a physician myself but don’t have enough clinical experience, and that’s what Dr. Kinney has in spades. Highly recommended! Metro Direct Care Medical was built with the patient-centered philosophy that all patients deserve a practical alternative to restrictive insurance billing and long waits for office visits. At MDCM we believe in personal attentive physician care in the most convenient, comfortable and lowest cost place of service, your home or office. You too will soon appreciate the convenience and personal care of Metro Direct Care Medical mobile physician Dr. Kinney. Medical care delivered directly to you! Whether too busy or too sick to wait for your primary care physician, a Metro Direct Care Medical Physician is there when you need care. We are a full service house call physician providing the highest quality comprehensive medical service in the privacy of your hotel, home or office. 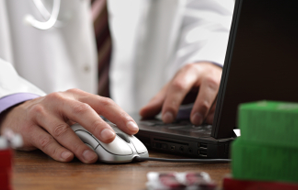 Using state of the art computers and electronic medical records, prescriptions can be “escripted” to your pharmacy of choice and follow-up care can be done electronically via E-mail, Phone or Video Consults resulting in big savings. Stephen L. Kinney, MD, is a Board Certified Family Medicine Physician now available in DC and MD bringing his 25 years of experience in patient care to your home, office or hotel to provide expert compassionate care for a reasonable fee to patients 18 years to Senior and Home-bound patients.If you have never had a physician visit outside of a doctor's office setting, you are in for a refreshing change! Our mobile medical care house call services are available 7 days a week. Dedicated To Serving Your Medical Needs ! We visit your home, office or hotel room, providing mobile medical care and physician house call services, 24/7. Montgomery County Maryland, parts of DC & Virginia. We offer same day appointments. You are seen in your private environment, no crowded waiting rooms – discretion is assured, excellent response time and available when other physicians are not. 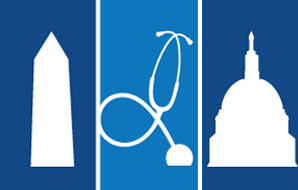 Montgomery County Maryland and DC Metro Areas Premium Physician House House Call Service. We also go to your Hotel,Office and Embassy. • Do you meet criteria for DC’s new Medical Marijuana Law? We can let you know. Fill out our Medicinal Marijuana Questionnaire. 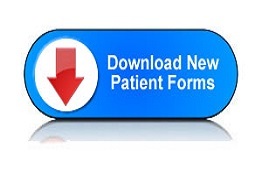 Go to Patient Portal and click on the forms tab. Live in DC or MD and wonder if you qualify for Medicinal Marijuana? Bookmark this page for your future medical needs! Metro Direct Care Medical is not a substitute for emergency care. If you feel you are experiencing a life-threatening emergency, call 911. Caught the travel bug? Metro Direct Care Medical has expanded to treat business travelers staying in hotels in the Washington D.C. Maryland and Virginia area. Here on business and feeling sick? 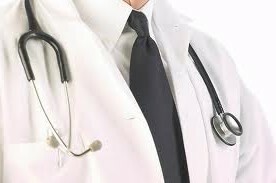 Don't wait, our Physician House Call Service brings our Mobile Office to your hotel or office to heal your illness, fast! Dr. Kinney, with over 25 years of experience, will spend the time with you that you have wished other doctors would. Does your medical Insurance have a high deductible? Spend your medical deductible wisely with a physician that does not rush you out of the office. Concierge Medical Service without the Concierge Service Fees. To ensure the best medical care possible, please complete the Patient Intake Form and the Health History form prior to visit. Your privacy and health is important to us.Rest assured, our Mobile Physician Service will exceed your expectations! With over 25 years of service, Dr. Kinney provides expert care for a rapid recovery! Do heartburn symptons signal something worse?